A View from the Beach: An Indian Stepped Up to the Bar . . . 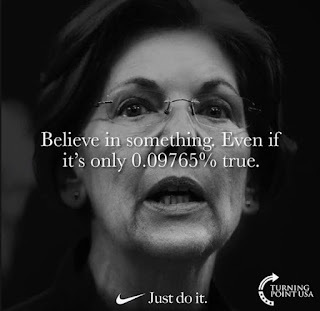 This ought to finish Warren, but probably won’t. 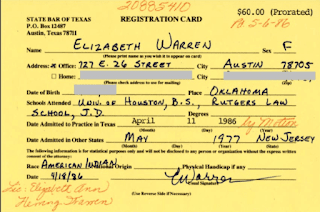 The next step ought to be a release of Harvard Law School’s records to see whether they relied on representations from Warren about her bogus native American heritage in her personnel file, and counted her as such for “diversity” purposes. 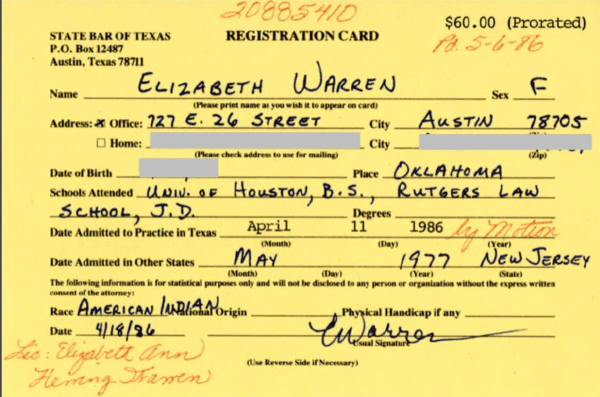 I'm going to give Liz the benefit of the doubt, and think even she might have believed the old family stories that there was a red man in woodpile somewhere, but to claim to be American Indian (note, not mixed Caucasian/American Indian) was misrepresenting herself from the moment she passed the bar, at a minimum.